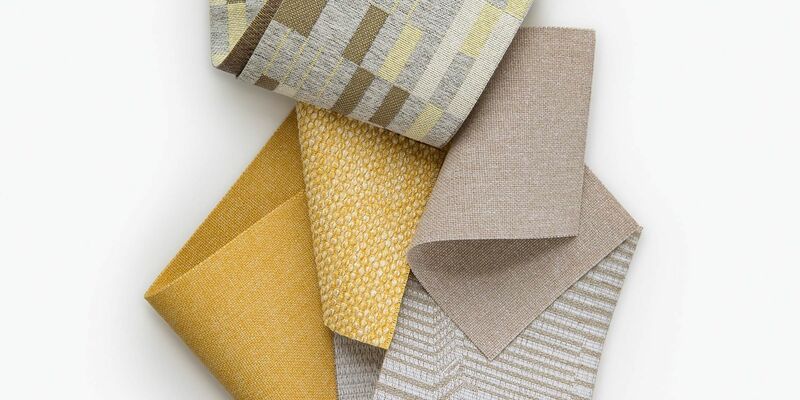 Luum Textiles today announced the introduction of its latest collection – Ideation. The collection – comprising Modulus, Seismic Shift, Digi Tweed and Heather Tech – strengthens designer toolboxes by providing nimble basics and utilitarian multi-colors. "Creating is a balance of engineering and craft. The challenge of actualizing a modern vision calls for knowledge that is experienced, yet experimental," said Suzanne Tick, Creative Director, Luum Textiles. "The Ideation collection draws inspiration from the architects and designers that provide fresh perspectives by using classic materials in new ways. An abstracted and simplified approach to pattern allows color and texture to drive the collection." Two upholstery patterns – Modulus and Seismic Shift – explore spatial dimensions through color value relationships. Multi-purpose textures Heather Tech and Digi Tweed feature coordinating shades inspired by tinted, honest materials like brick and concrete. In-depth research into new color yields emotional, yet grounded, palettes that balance moodier shades and textures with expressive brights. Exterior and interior environments are exploring creative ways to delineate space through the blending of materials. Modulus is a new upholstery product that reflects the increasing move towards combining and layering design components. The pattern is rooted in a textural ground, with added layers of tonal accents. Bricks are one of the earliest and strongest building materials. Modulus is directly translated from brickwork patterning. The palette reflects the range of unexpected colors that are possible through variations in the material composition and manufacturing processes. Light and shadow are elements of the natural environment that play a significant role in the built environment. Architectural moldings, whether structural or decorative, add an additional layer of visual texture to the urban landscape. Designers are finding new ways to bring the exterior into interior spaces. The Seismic Shift upholstery product is both architectural and topographic. The technical pattern gives the illusion of dimensional color planes through the use of both tonal and contrasting colors. Heather Tech speaks to the scientific yet experimental process of fiber blending. A color can be transformed depending on the material, process and conditions under which it is viewed. Nuanced color is created by balancing precise dye formulations adjusted to maintain the subtle, matte texture. Muted and soft, rich and saturated, the multi-purpose palette is a direct and complementary coordinate to Digi Tweed. Digi Tweed is a hyper-textural multi-purpose product that is a direct coordinate to Heather Tech. An irregular texture and expansive palette speak to the need for interior spaces to reflect the natural world. The exaggerated texture and tonal coloration offer designers an opportunity to explore visual dualities through the use of contrasting surfaces. Digi Tweed’s palette draws inspiration from honest and natural materials. "Luum is focused on bringing a creative approach to textiles for the commercial market. Our products represent performance luxury – new classics that are designed to meet the performance requirements of today’s live/work spaces," said Dave White, Vice President of Luum Textiles. "Ideation represents the first of several exciting new collections from Luum in 2018."